This book is a translat ion of a German language book, published in 2003. Within the book the author ( a long term student of Chen Xiao Wang and a leading exponent of Chen Taijiquan in Europe) says it was written in the years up to 1997. As I began to read through it my initial response was that it was juvenile, poorly constructed and poorly executed. It appears to contain the ideas of the author before (or in the initial phase of) his development of his understanding of what taijiquan skill is. It has one redeeming feature, namely the listings of forms of Chen Style Taijiquan in both pin yin & English. The English is mostly good with only a small number of errors thought a larger number of curious vocabulary choices. For the most part it is an accumulation of incomplete ideas and guesses. It is not that it is all wrong and it contains some interesting ideas. Just that enough of it is incorrect to make it truly difficult for the reader who does not know about taijiquan. It would be easy to get an inappropriate impression of what taijiquan is and how to approach its understanding. The author completed this work having studied with his principal teacher (Chen Xiao Wang) for a short period of time (from the contents of the book, somewhere around 3 years. In the book the author conveys his teachers assessment that the authors skill was minimal at this time.) The content and explanations are consequently limited and imprecise. The book implies it is an accurate rendition of Chen Xiao Wang’s teaching: this implication I believe is unfounded. At the time of writing there were almost no books available on Chen Style that were not written in Chinese. As a “first effort” piece of work, it is an acceptable production. Now, almost 15 years later, I would suggest that this English version is an effort of translation that was not worth the content. There are books of better content and accuracy that have been available in English since the turn of the century. 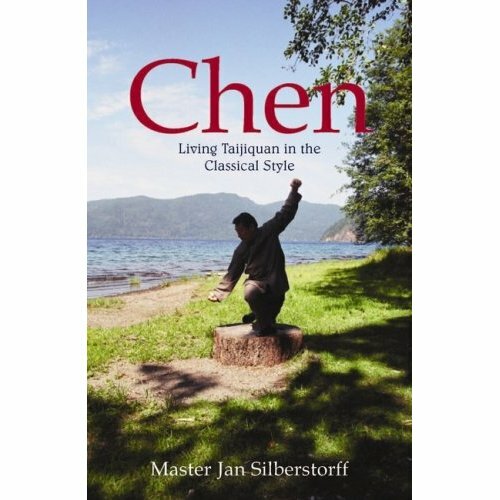 I wonder if the author would write “a comprehensive view of Chen Style Taijiquan” as he describes it in his book, in the same way now as he did in years up to 1997 when he completed this? I would hope not. The irony of including such statements as “If I should hand on a poor version of Taijiquan, the damage I’ll inflict upon the reputation of Taijiquan will be immense,” seems to have been lost somewhere.